In professional sports, scouts are experienced talent evaluators who travel extensively for the purposes of watching athletes play their chosen sports and determining whether their set of skills and talents represent what is needed by the scout's organization. Some scouts are interested primarily in the selection of prospects, younger players who may require further development by the acquiring team but who are judged to be worthy of that effort and expense for the potential future payoff that it could bring, while others concentrate on players who are already polished professionals whose rights may be available soon, either through free agency or trading, and who are seen as filling a team's specific need at a certain position. Advance scouts watch the teams that their teams are going to play in order to help determine strategy. The Muskegon Lumberjacks are a Tier I junior ice hockey team in the Eastern Conference of the United States Hockey League. They play in Muskegon, Michigan, at L. C. Walker Arena. The Lumberjacks replaced the International Hockey League franchise (IHL) of the same name, which relocated to Evansville, Indiana, at the end of the 2009–10 IHL season. The Patrick Division of the National Hockey League (NHL) was formed in 1974 as part of the Clarence Campbell Conference. The division moved to the Prince of Wales Conference in 1981. The division existed for 19 seasons until 1993. It was named in honor of Lester Patrick, player and longtime coach of the New York Rangers, who was a developer of ice hockey. It is the forerunner of the old Atlantic Division, which later became the Metropolitan Division in 2013. Richard Brian Pilon is a Canadian retired ice hockey player of Métis heritage. He was drafted 143rd overall in the 1986 NHL Entry Draft by the New York Islanders. Playing as a defenceman, Pilon played for the Islanders, New York Rangers and St. Louis Blues during his 15-year NHL career. During the 1999–2000 season, Stevens struggled. Not only did he rarely see the ice during this season, but after a game against the St. Louis Blues, he was caught in an East St. Louis, Illinois motel with a prostitute and crack cocaine. After this event, Stevens entered the NHL/NHLPA Substance Abuse and Behavioral Health Program. Paul Douglas Coffey is a Canadian retired professional ice hockey defenceman who played for nine teams in the National Hockey League. Known for his speed and scoring prowess, Coffey ranks second all-time among NHL defencemen in career goals, assists, and points, behind Ray Bourque. He won the Norris Trophy as the NHL's best defenceman three times and was voted to eight end-of-season All-Star Teams. He holds the record for the most goals by a defencemen in one season, 48 in 1985-86, and is the only defencemen to have scored 40 goals more than once, also doing it in 1983-84. He is also one of only two defencemen to score 100 points in a season more than one time, as he did it five times; Bobby Orr did it six times. Paul Coffey holds or shares 33 NHL records in the regular season and playoffs. Mark Louis Recchi is a Canadian former professional ice hockey player and a current assistant coach for the Pittsburgh Penguins of the National Hockey League (NHL). Recchi played 22 years in the NHL, winning three Stanley Cups: in 1991 with the Pittsburgh Penguins, in 2006 with the Carolina Hurricanes and in 2011 with the Boston Bruins. In Game 2 of the 2011 Finals, at the age of 43, Recchi became the oldest player ever to score in a Stanley Cup Finals series. The 1967–68 NHL season was the 51st season of the National Hockey League. The league expanded to 12 teams, putting the new six in the newly created West Division, while the original six were all placed in the newly created East Division. The regular season schedule was expanded to 74 games per team. The Montreal Canadiens won the Stanley Cup against the new St. Louis Blues, in four games. Glen Murray is a Canadian former professional ice hockey right winger who played 16 seasons in the National Hockey League (NHL) with the Boston Bruins, Pittsburgh Penguins and Los Angeles Kings. Stephen Neil Kasper is a Canadian retired professional ice hockey forward who played thirteen seasons in the National Hockey League (NHL) with the Boston Bruins, Los Angeles Kings, Philadelphia Flyers and Tampa Bay Lightning. Kasper won the Frank J. Selke Trophy as top defensive forward during his second season in the NHL. He moved into coaching following his playing career, serving as the Bruins' head coach during the 1995-96 and 1996–97 seasons. Maxime Talbot is a Canadian professional ice hockey centre currently playing for Avangard Omsk in the Kontinental Hockey League (KHL). Ilkka Antero Jouko Sinisalo was a Finnish professional ice hockey forward who played eleven seasons in the National Hockey League (NHL) for the Philadelphia Flyers, Minnesota North Stars and Los Angeles Kings. Later he was a scout for the Flyers. David Ross Lonsberry was a Canadian professional ice hockey left winger who played 15 seasons in the National Hockey League (NHL) for the Boston Bruins, Los Angeles Kings, Philadelphia Flyers and Pittsburgh Penguins. He had his best seasons in a Flyers uniform and was a member of Philadelphia's back-to-back Stanley Cup championship teams in the mid-1970s. The 1991–92 Pittsburgh Penguins season was the Penguins' 25th season in the National Hockey League (NHL). The team was coming off of its first-ever Stanley Cup victory in 1990–91, as they defeated the Minnesota North Stars in the Finals in six games. The Penguins, along with the Detroit Red Wings and New York Rangers, had five 30-goal scorers. Six players and three off-ice staff members from the 1991-92 team's year-end roster have been elected to the Hockey Hall of Fame. The 1990–91 Pittsburgh Penguins season was the Penguins 24th season in the NHL, and they were coming off of a disappointing 1989–90 season, having finished one point behind the New York Islanders for the final playoff spot in the Patrick Division, failing to qualify for post-season play for the seventh time in eight seasons. The Penguins placed first in their division, third-overall in the Wales Conference, on the way to the first-ever Stanley Cup championship for the team. Six players and three off-ice staff members from the 1990-91 team have been elected to the Hockey Hall of Fame. ↑ "Penguins name Kevin Stevens special assignment scout". 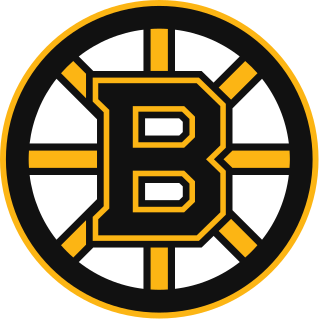 ↑ "1983 NHL Entry Draft -- Kevin Stevens". www.hockeydraftcentral.com. ↑ Diamos, Jason (January 24, 2000). "Hockey – Stevens Is Arrested in Drug-Related Case". New York Times. Retrieved January 19, 2018. ↑ Leahy, Sean. "Former NHLer Kevin Stevens facing drug charge". Yahoo. Retrieved 13 May 2016. 1 2 Campbell, Ken (2017-05-05). "Kevin Stevens Avoids Jail Time, and Continues Working to Turn His Life Around". The Hockey News . Retrieved 2018-01-10. ↑ "Hockey East All-Teams". College Hockey Historical Archives. Retrieved May 19, 2013. ↑ "Men's Ice Hockey Award Winners" (PDF). NCAA.org. Retrieved June 11, 2013.